Curved style kitchens; brushed chrome, gloss lacquer, dark oak. Good unit design within the flowing minimalist approach provides elements to create convivial social spaces to eat, chat or just to be together. Inside the uncluttered flow the Solar kitchen provides an efficient perfectly arranged work place, with beautifully designed detailing and equipment. Innovative and exciting, the Solar kitchen provides elements for social living which spark ideas and creativity while being practical and convenient. Elegant, well thought out, convenient, a perfect workspace, yet immaculately styled. Curved kitchens are a very modern approach to kitchen design. 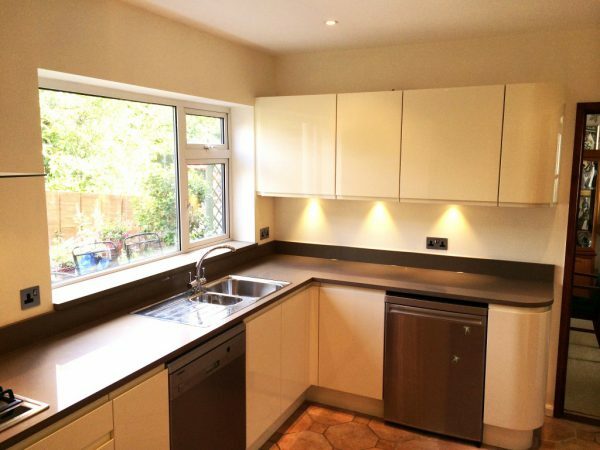 We can provide cabinets and worktops that appear to move and flow around, making it a very pleasant place to be. We can completely customise the design and layout to you and your home, maximising the space available. 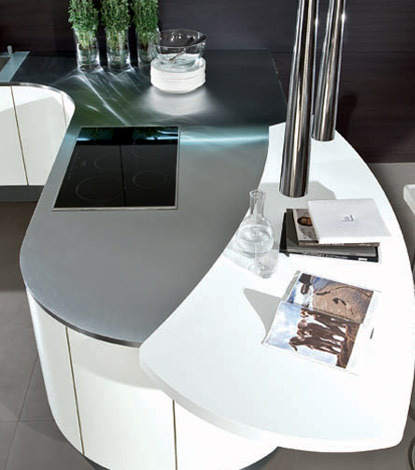 Curved German Kitchens create a desirable warmth and softness as well as a sense of continuity. In a well designed curved kitchen, the layout with sweep all of your everyday kitchen essentials into easy reach. A curved island – making for a stunning kitchen look and being a focal point of any kitchen, island curves can be as large as the space permits. A curved peninsula – great for smaller spaces, these are much like a curved kitchen island but as they are fixed at one end they take up less floor space. A contour curve – a contour kitchen curve moulds a neat kichen layout in which everything has its place and is easily accessible. Fitted curves – with a fitted kitchen curve you can fully embrace the curves which will flow throughout the whole of a kitchen space. 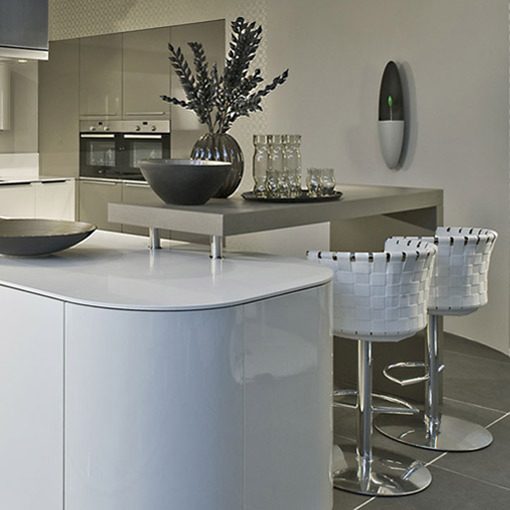 Blax kitchens offer convex and concave curved kitchen options.